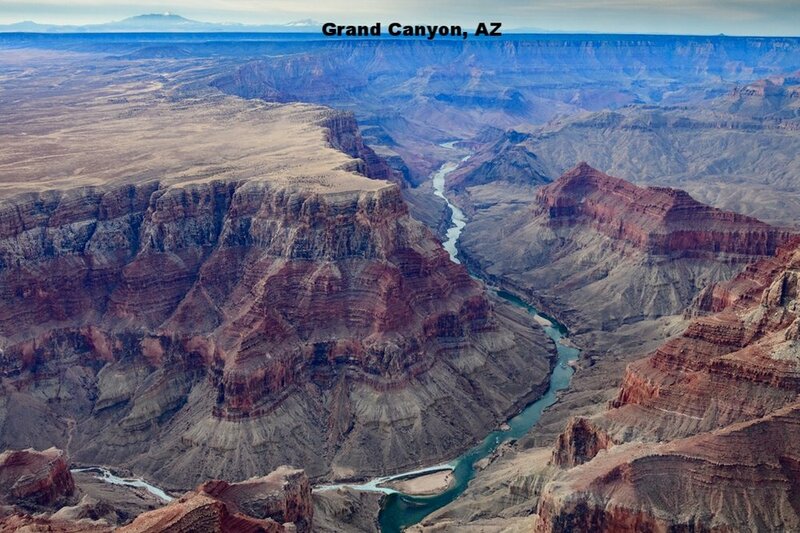 If I‘m pressed, my own personal favorite travel destinations are those where I can have an active experience observing nature and wildlife in a remote location. A safari in Botswana, kayaking the inside passage in Alaska, snorkeling with sharks and sea lions in the Southern Pacific or bumping along in polar rover to see polar bears in Arctic Canada, all qualify as “favorites” and were extraordinary trips for me. But when I consider the amazing local guides and people we have met in so many places and how they enriched and enlivened the destination, even in seemingly ordinary places, I realize “favorite” or “best” has more to do with the people we meet than the places we go. The National Park Ranger who led our bike tour in Mohacs, Hungary shared his passion for protecting the stork and told the story of how the stork is a leading indicator for the health of all life along the river, including the humans who live along the Danube. Meeting ordinary families walking their dogs (and tiny ponies!) 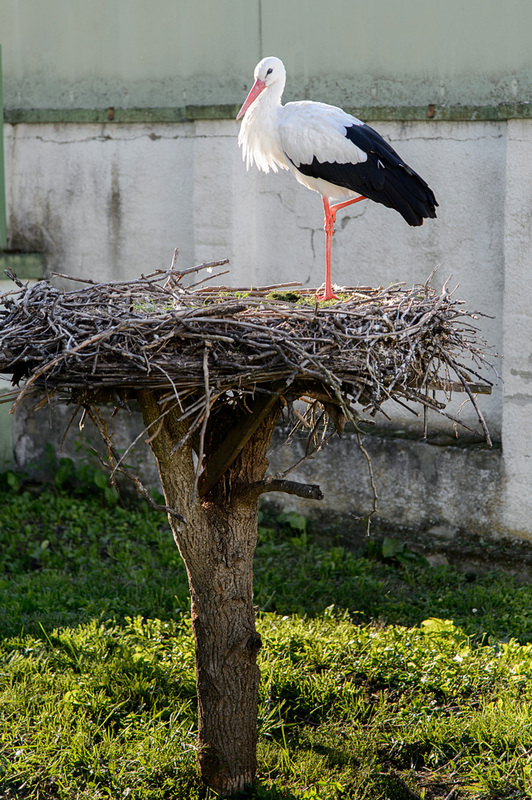 along the bike path allowed us to get up close to local families, as well as the famous Hungarian storks. It felt like having one without the other would have been hollow. Would I tell people to run out and go to Mohacs, Hungary? Is it on anyone’e top 10? Probably not, and yet, I had one of my “favorite” travel experiences there because of the people and the animals! So, where would you like to go? It’s a question that encompasses the questions; what would you like to DO, and who you would like to meet? Cities and culture? Beaches and night clubs? A quiet chair by a lake? One thing to consider is if a destination that is a “favorite” on social media or on top ten lists will really be a match for you! There are so many “bests”, listed because they have excellent marketing budgets and promotion on social media. 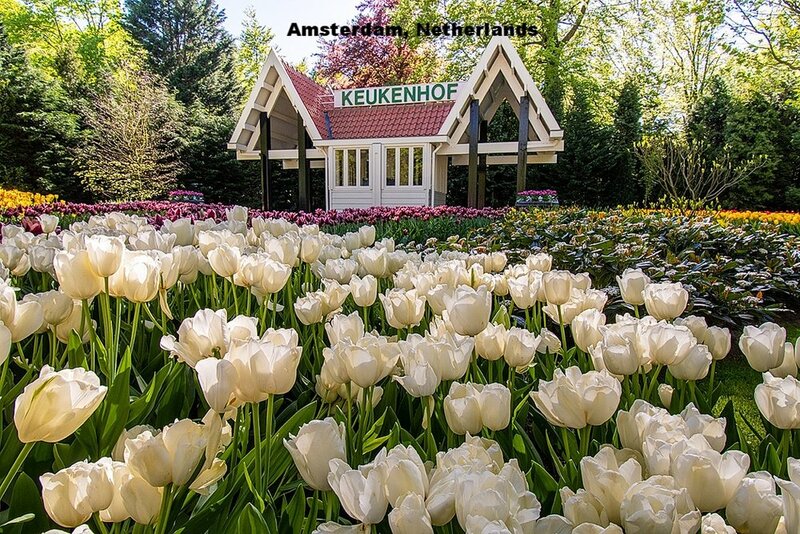 I sometimes say there are destinations that “everybody goes, because everybody goes”. Whether it’s right for you depends on knowing what you like, and not just following the hoard to whatever destinations turn up on Instagram most often! That’s what we at Go See It Travel have always tried to share with readers and the folks who attend out presentations. We’d love to hear from you about your favorite destinations. Please comment below! If you’d like to research a destination, just put it in the search bar and see if we have photos and stories about your “favorite” place or your next adventure! We will be taking a short break from posting new content on the blog for several weeks, while we attend to several family matters, including a major move. You’ll still see us sharing some “reruns” and we will still be presenting publicly and providing content to our partners, but we won’t be traveling until the New Year, when we will have lots more to share! Go See It Travel Tackles Disney World with tips for survival! 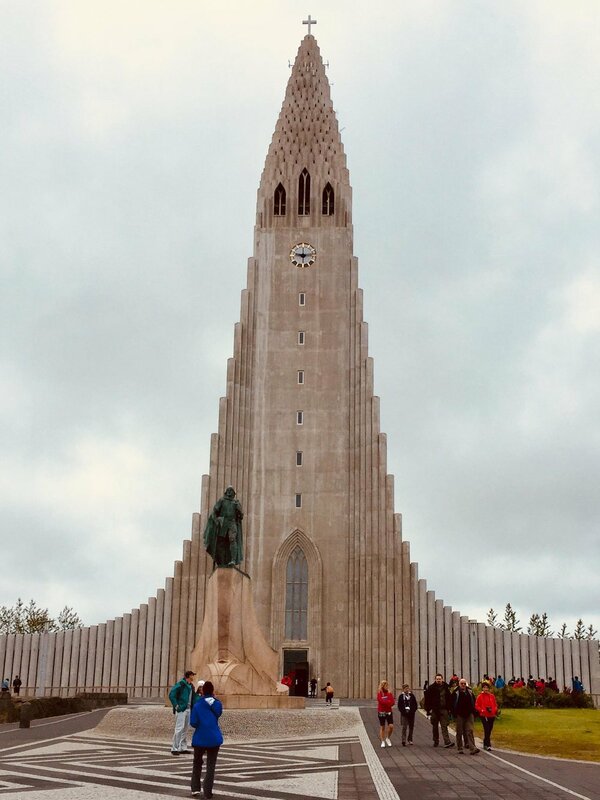 Photos From Our 2018 Travels click on any photo to see more! Jamaica. One Love, Too Many Miles! My first call was to Courtney Taylor Tours, who had arranged our March cruise ship tour from Falmouth to Irie Blue Hole and Dunn’s River Falls in March. (see our trip report here) We had a reservation for a resort on beautiful 7 Mile beach (it’s actually only 4, so don’t plan your half marathon run!) in Negril. Negril is known for relaxing white sand beaches, and water sports. We wanted to spend at least one day leaving the all inclusive resort to explore the sights in Jamaica we hadn’t had time to visit. 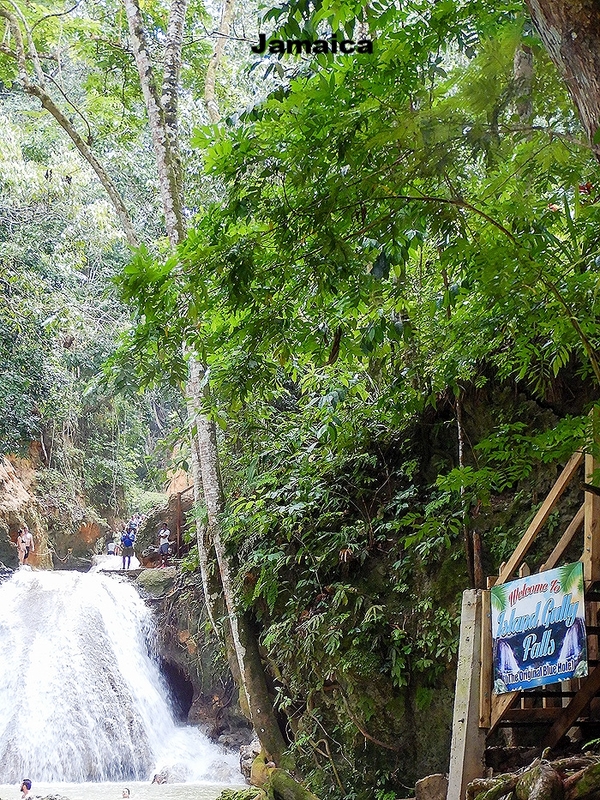 We had heard about Green Grotto Caves and river tubing to Runaway Bay on our last trip to Jamaica and while it seemed like they were “just down the road” from Negril, they were actually 2.5 hours away between Montego Bay and Ochos Rios! The clock tower in Lucea, only 1/2 way there! Our first stop, Green Grotto Caves was on our list because we wanted to see the bats in the cave. We arrived and paid our $20 per person admission and waited a few minutes for a guide to take us through the caves, about a 45 minute walk on paved paths, along the uneven cave floor and up and down stairs into the lower part of the cave. Hard hats are required, and it’s best to wear shoes with good tread. The Green Grotto Guide assigned to us did a good job of explaining the history of the caves. More recently they were used as a night club. But the music was not only dangerous to the structure of the caves, but also to the wildlife living there, and the night club was closed down to create a park that better respects the ecological and historical nature of the caves. “furnishings” still exist from the cave’s time as a night club. We went to the caves to see the bats residing there in the roof of the cave, but we were also intrigued by the sober history of the cave as a hideaway for both buccaneers stashing treasure and escaped slaves running from sugar plantations in Jamaica. Fresh and brackish water reflects the stalactites in the caves. Our next stop was to go river tubing. 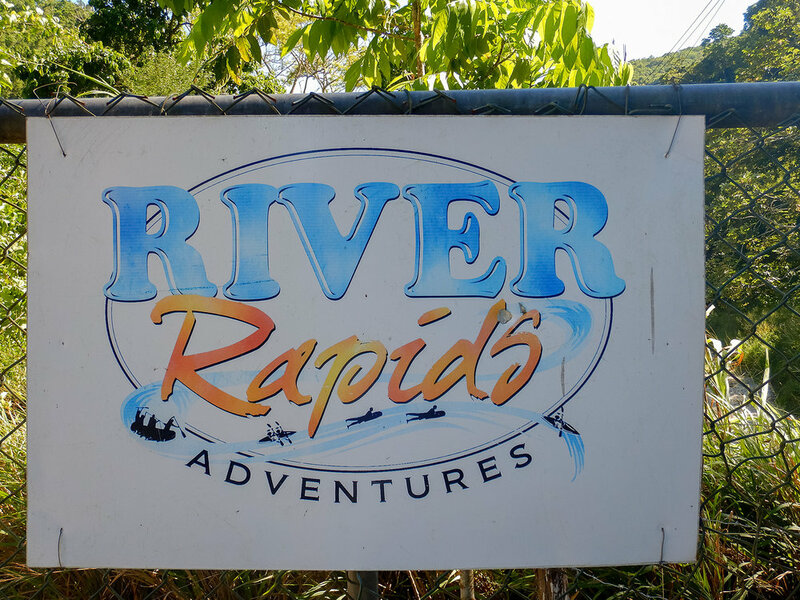 We had the river to ourselves when we met our guide RoShane who works for a newer outfit, River Rapids. We played in the water falls for a while, watching small fish swimming upstream and posing for photos. Our guide RoShane fitted us with helmets, tubes and PFDs for safety. As the river widened, we were met by a boat and transferred to raft which was towed out to the deserted beach. 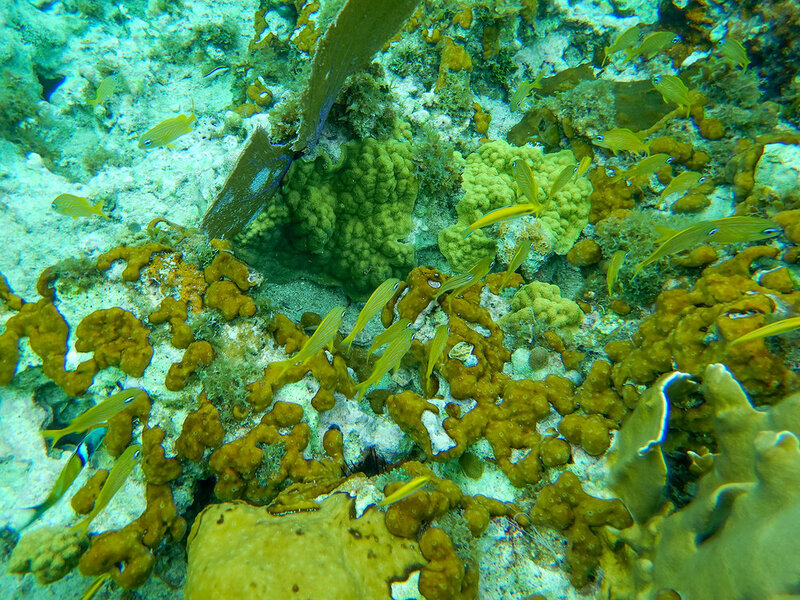 After our tour, we returned to Negril, where we could snorkel right from our resort. 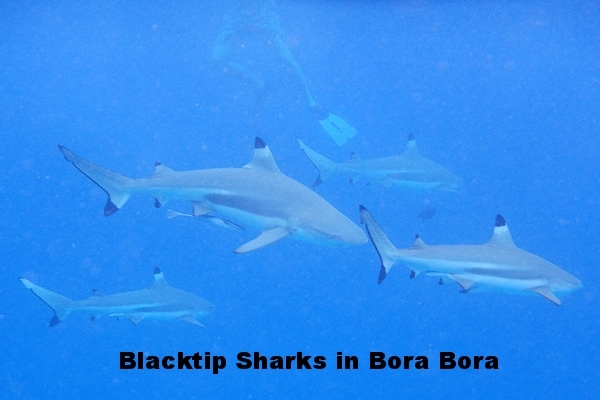 Popular areas to snorkel include the Booby Cay and Middle Shoal. So my mistake…It might have been better for me to learn that our plans were a bit unrealistic and ambitious, and have Courtney Taylor plan us a tour around Negril. We were already enjoying the white sand beaches and water sports in Negril, but we learned there is plenty more to see in the Negril area! Ricks Cafe is a fun bar serving jerk chicken where brave locals leap off the cliff to the amusement of guests. And there are local “Blue Hole” cenotes and falls to jump into! The one good thing about this mistake- it is gives us a good reason to go back!! Rely on a good local guide to make a practical itinerary, and to smooth the way. Driving is on the left side in Jamaica, as a remnant of it’s British Colonial roots, and it’s a good idea to leave the driving to a pro! Good water shoes are a must for both ocean and river excursions. 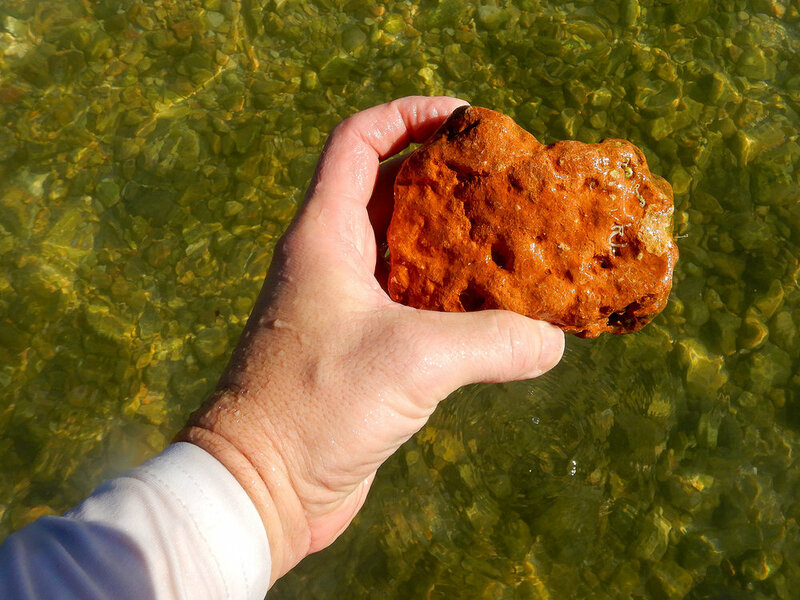 The coral and urchins are sharp in the ocean and the rocks are slippery in the river. A rash guard shirt with sun protection is a good option, not only for the sun, but also for warmth in cooler, shady, freshwater or cave excursions. Sun protection is a must, as it’s sunny and hot nearly all year long in Jamaica. For the occasional shower or rainy season, it’s good to have a pack-able rain jacket. Bug repellent protects against mosquitoes, although we didn’t see any on our excursions, we were prepared. Carry a water bottle with fresh water. Bottled water is available, but we found several plastic bottles washed up on the shore of Booby Key during a kayaking excursion (which we collected and disposed of properly), most tourist areas offer a safe option for tap water, so that plastic doesn’t end up in the ocean. Bring small bills to tip guides on excursions, and to make purchases where credit cards might not be accepted. Most prices are listed in USD. Negril 7 Mile Beach is known for it’s incredible western view of the sunset. Lorenzo Quinn’s art installation was meant to draw attention to the “support” Venice needs as tourism and climate changes affect the coastal city. Venice is Underwater! Now What!? News reports and dramatic video tell the story…Venice is suffering from devastating flooding. We visited Venice just a year ago, and while we had little rain and no flooding during our trip, we saw many of the ways Venetians cope with their regular flooding. Wooden walkways were piled in the corners waiting to be used during floods. Most places we visited had contingencies for when the floods come. A stick measures flood levels along the Danube in Mohacs Hungary. When the waitresses and bar tender were matching the patrons shot for shot, around 2 PM at Mean Queen in Sitka, we realized we were probably in an authentic (wild!) Western town! 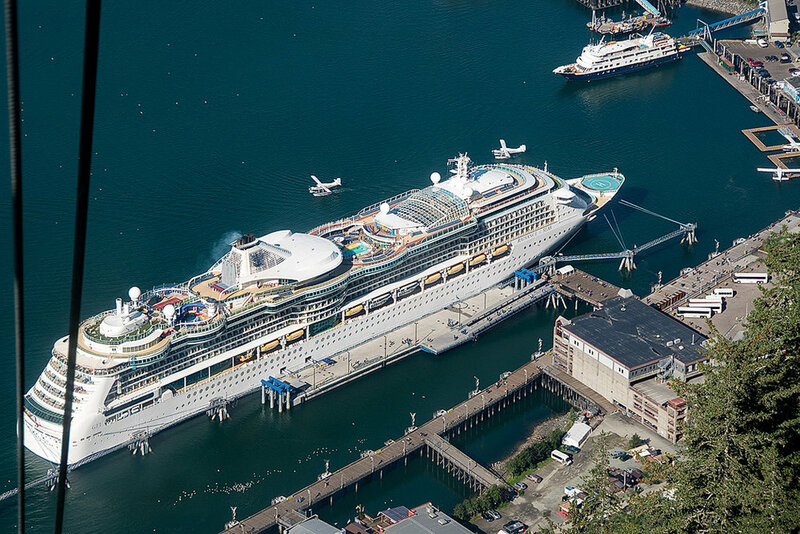 Most Southeast (Inside Passage) Alaska Cruises include a variety of ports. Some have ports we’ve visited have been developed by the cruise line companies themselves, filled with shops similar to those found anywhere. Things can seem a little “sanitized”, even on the historically bawdy Creek Street in Ketchican. Some ports have more corporate rather than independent shops. To handle the crush of daily cruisers in the summer, those communities need to hire people from out of town. Most of the elbows you’ll rub will be with fellow cruisers and often “local” guides and helpers all seem to be from somewhere else. 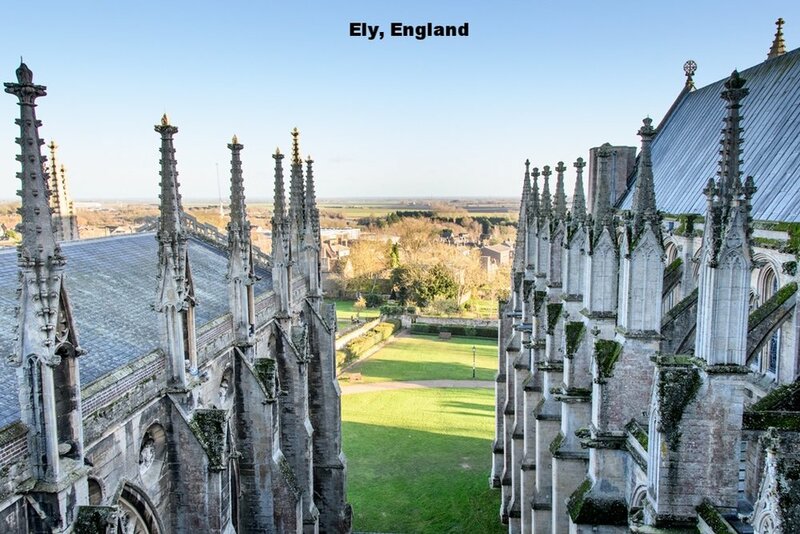 That is not to say those places aren’t authentic; real people live and work there, but as a cruiser, you’d have to travel a little further afield to find them! Some communities have rejected that kind of development in order to keep their own unique identities in their ports. 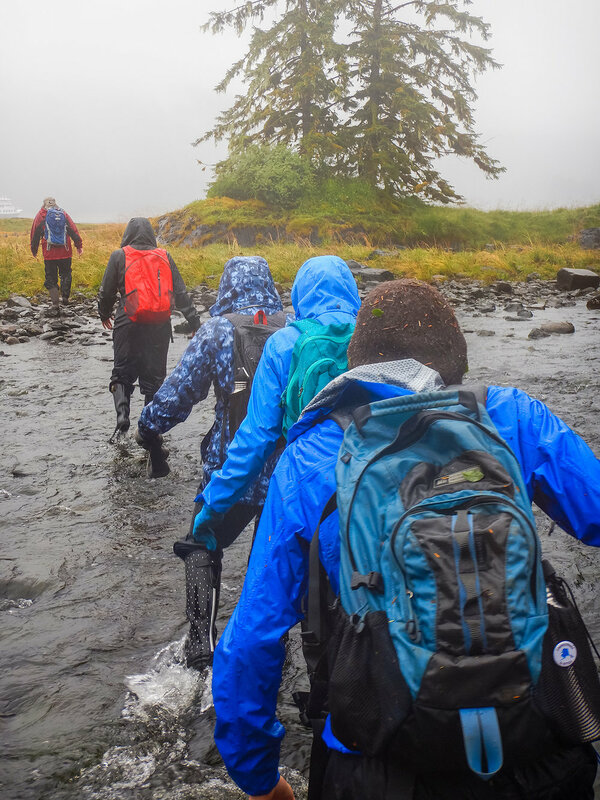 Our days in Sitka and Haines during our UnCruise Safari Endeavor felt like the later. We arrived in Sitka and after checking into our hotel, we immediately went out to source some lunch. Totem Square Hotel, was conveniently located within walking distance of everything in town. The rooms were simple, clean and comfortable. The service was excellent, with helpful folks at the front desk who pointed us in the right direction to find what we wanted to see. A “Fisherman’s Breakfast was offered early on the first floor restaurant, but we’d recommend heading over to the Highliner Coffee Company for homemade bagels and pastry instead. We wandered to the Mean Queen, which looks like a dive bar with a day job as a pizza joint. The pizza was excellent, and the local characters were entertaining. Our stone cold sober waitress kept downing shots with the bartender and fishermen at the bar but she didn’t miss an order! The fisherman taking shots eventually started getting profane and a local grandma, dining with her granddaughters, hollered across the bar "HAVE SOME RESPECT!” The fishermen were sufficiently cowed, and immediately took it down a notch. Then she turned to us to apologize to us for the whole scene. We were immediately enchanted with Sitka! Without thousands of cruisers in port, we were able to wander around town, chatting with shopkeepers and artisans. We were able to walk from Totem Square and Russian Hill on one side of town, all the way to Totem Park/National Historical Park at the other end of town. We toured the St Michael’s Russian Orthodox Cathedral before it closed for the day, leaving time to wander by the waterfront down to Totem Park in the bright late afternoon and evening sun. 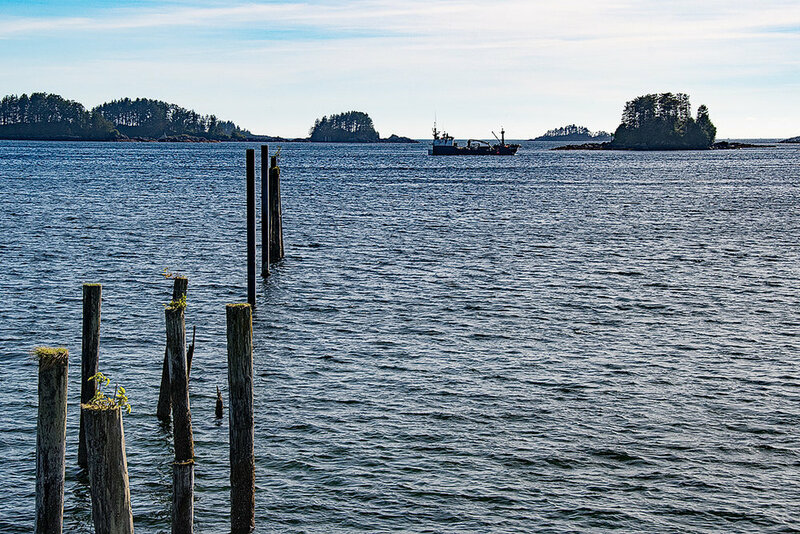 An interesting view point in Sitka, with a lot of history. Used by the Tlingit groups, a Russian fort and later became the place where the Russians “sold” Sitka to the US. Along Lincoln Street there are several unique galleries and shops, as well as places to buy tee shirts and shot glasses. There were several fur shops, which attract attention with fur bikinis and “mankinis” in their windows! We stopped in on of many very good outdoor gear stores to pick up a few things we forgot for our expedition. 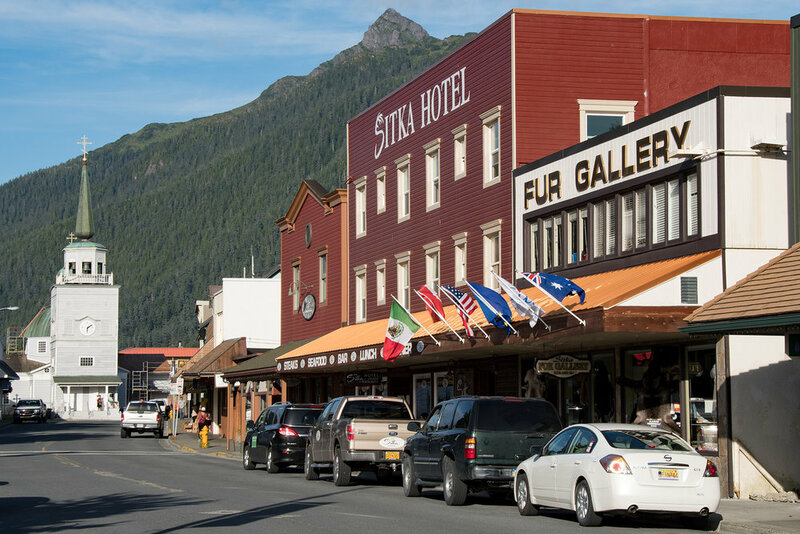 One of the things I loved about Sitka was that there was so much more to do other than shopping, all within walking distance. We followed the Lincoln Road headed towards the Bishops House, which is part of the National Historical Park. 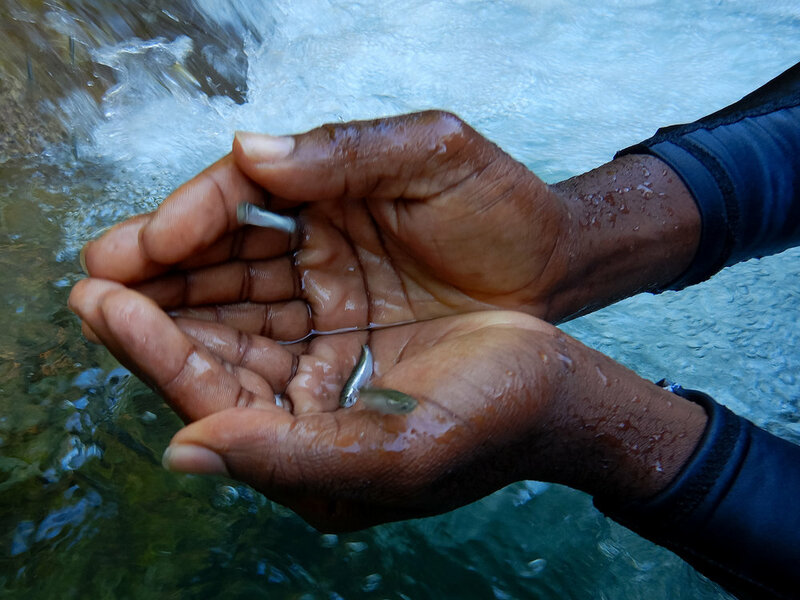 Part of the Sitka Sound Science Center, the hatchery provides an opportunity to learn about salmon and depending on the time of year, watch salmon in a salmon ladder swimming up stream! Piers and walkways along the coast allow for a nice walk from the center of town out to the Totem Park. 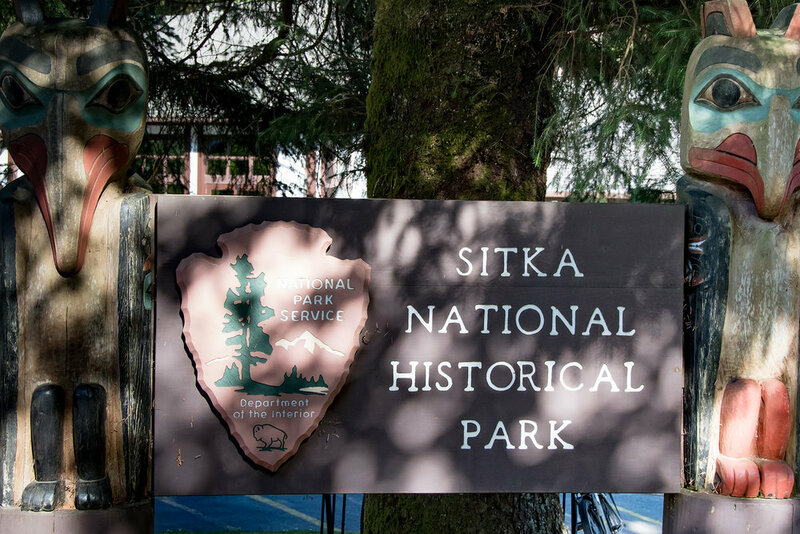 The Sitka National Historical Park manages several buildings and parks in Sitka, including the Bishops House and there are also several National Historic Landmarks in Sitka. You can find a list of these at the visitors center or the Bishops House. The visitor center features displays and films as well as studio space for working Tlingit artisits. The visitor center is the trail head for several trails through Totem Park where we were able to use our phone to read about each totem displayed. We also visited an area where you could clearly see huge schools of salmon heading upstream to spawn. During our hike around Totem Park, we were treated to a dramatic mid air battle for territory by a pair of bald eagles! The Alaska Raptor Center, just outside the town, is a rehabilitation center for raptors. Injured and abandoned birds are taken here with the goal of being released back into the wild. Many are treated, gain strength in an indoor open air flight training center where they have almost no contact with humans, and are released. There are also some resident birds that cant ever be released. They are named and come out on display occasionally for educational purposes. Dozens of eagles live in the Flight Training Center for a short time after being treated to strengthen their wings and prepare for life outside again. The windows are all soundproof and one way glass so birds don’t get habituated to people. The roof is open allowing them to experience the elements and rehabilitators provide food in a way that allows them to hunt and seek food rather than being hand fed. Some raptors, including owls, are permanently injured and unable to be released. These residents birds are used for educational programs and live out their lives at the Raptor Center. Stop at the Sitka Visitors Information Center at 303 Lincoln St to find fishing charters and kayaking guides. 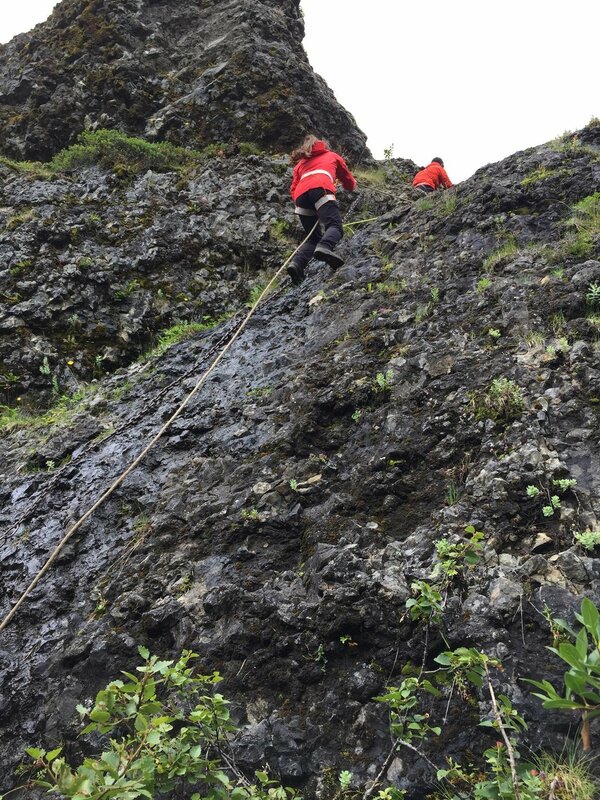 There are several hiking and biking trails around Sitka. A free guide from www.travelsitka.com offered in many shops and restaurants and online, shows many trails. Locals also use bicycles as transportation around town. This former US Army Fort was sold after WW2 to a group of veterans who established an art colony. We enjoyed seeing the interesting architecture of the former officers homes and reading interpretive plaques on the old barracks building up on the hill and visiting the Alaska Indian Arts. Alaska Indian Arts is a non profit dedicated to preserving Northwest Indian art forms located in the old hospital in Ft Seward. During our visit, we were able to meet and cat with Lee, one of the original founders of the world famous Chilkat Dancers, and see a totem laid out for preservation. We also enjoyed that “town” was set up more for local use than cruise ship passengers, including this fellow getting “stocked up”! Haines was very concerned about salmon, the life blood of the town, fishing, touring, all of it revolves around the salmon. Hammers from all over the world, including, according to our guide, some the Smithsonian sent to AK! Some of our fellow passengers decided to while away a few hours here, enjoying local brews and spirits here. We were comped bicycle rentals at Sockeye Cycle, by UnCruise. The shop is just a few steps from the cruise ship dock, and within minutes we were outfitted with bikes, helmets and locks so we could explore the down town and areas around on 2 wheels. 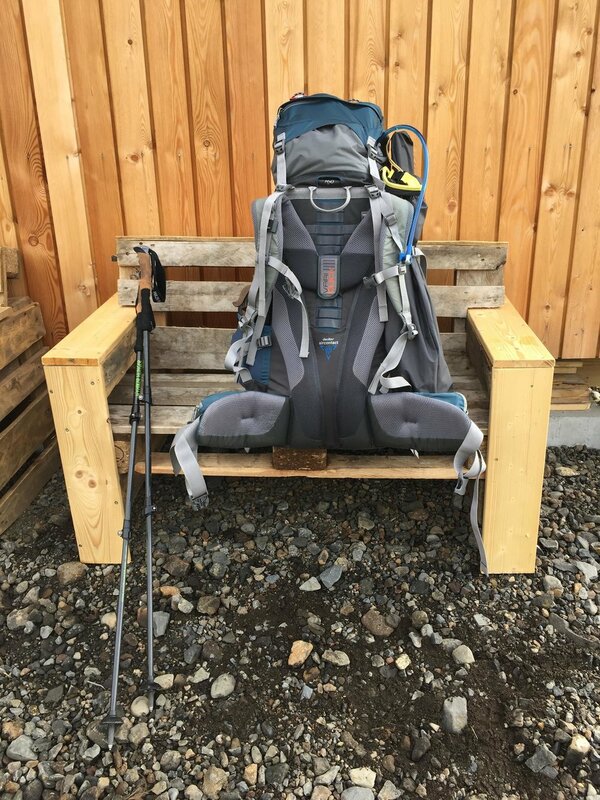 The Haines Visitor Center can provide directions to trail heads within easy walking distance of town. 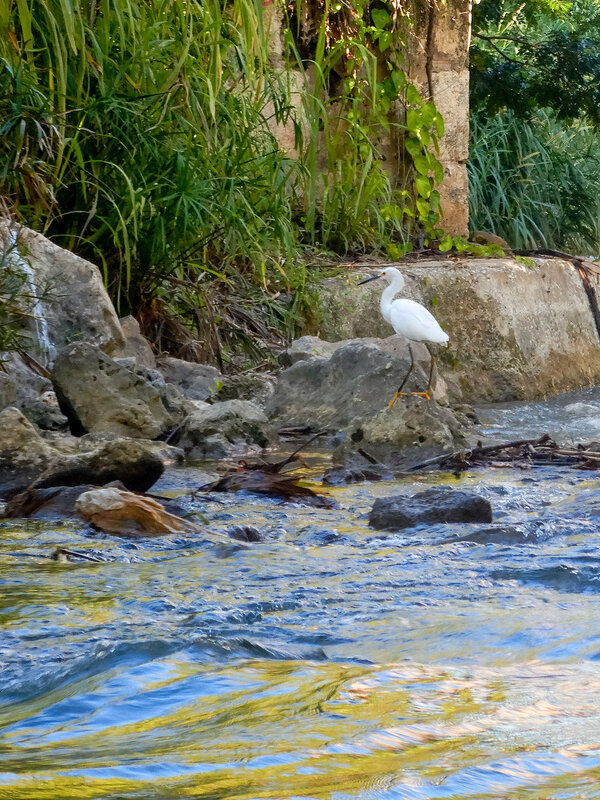 This section of the river stays warmer and attracts thousands of breeding eagles every spring. 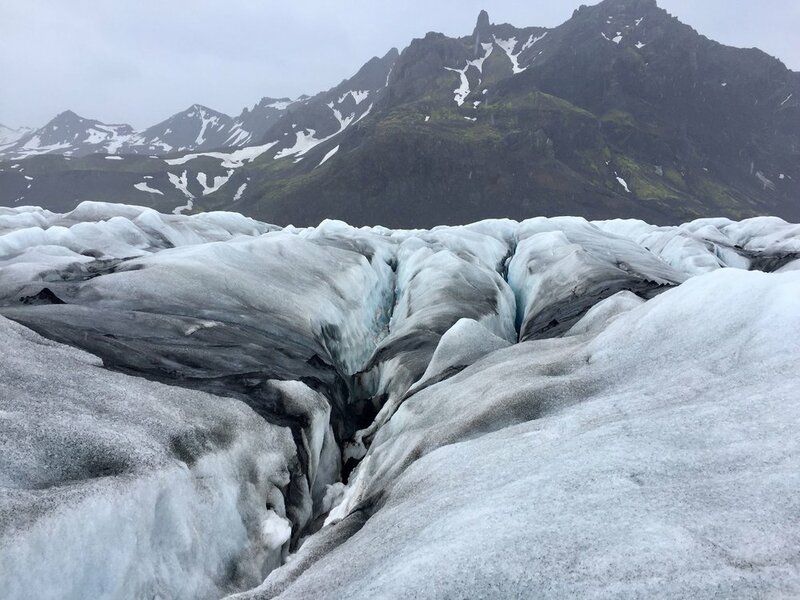 During our late summer visit we were able to see enormous eagles nests and many birds that inhabit the area surrounded by dramatic peaks and glaciers. 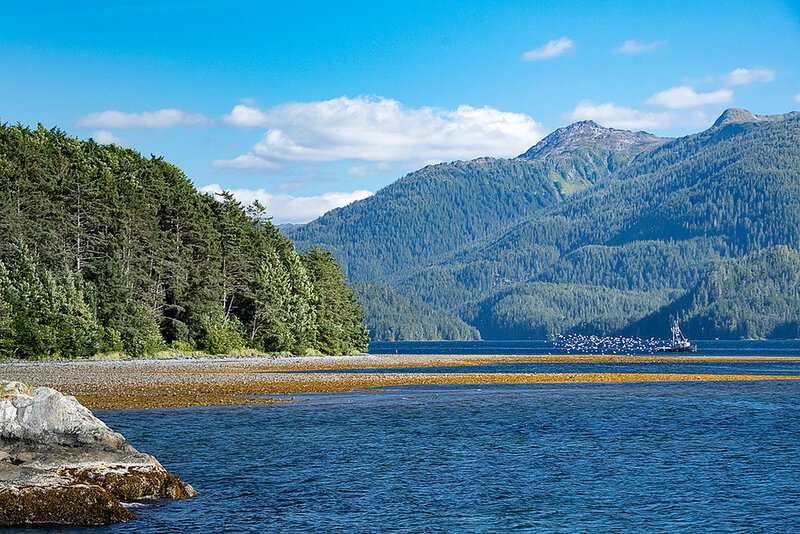 A drive along the Chilkat Pass, despite ongoing construction, allows alluring views of mountains, eluvial river, and glaciers that define Southeast Alaska. Renting a car (recent construction work on a controversial new highway here makes biking a little more risky) you could drive the pass, stopping along the way to enjoy scenic views of the area. 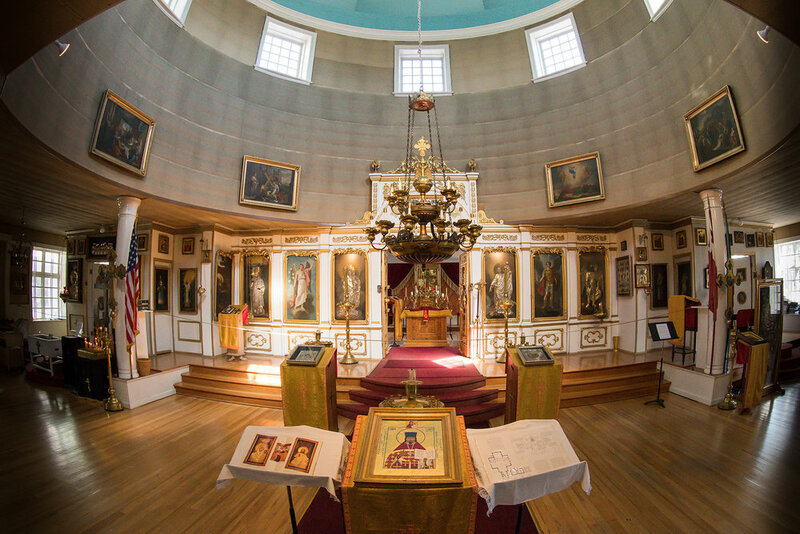 No we didn’t have a religious conversion in Southeast Alaska, but we did have a chance to redeem a prior trip to the area that didn’t go exactly as we’d wished. Unfortunately, during the last time we sailed into Glacier Bay National Park on a large cruise ship in 2005, our 8 year old daughters’s day ended with her in tears! We had enrolled our daughters, then 8 and 10 in the children’s program on that ship. The staff had promised the children would get to watch the glaciers calving at the Margerie Glacier. They said that a Park Ranger would board and do Junior Ranger activities with the children. Our children had earned other Junior Ranger badges during activities in Skagway and Denali, and the chance to do so in GBNP, was appealing to them. We dropped them off at the program, and an hour later returned to learn that the Park Ranger assigned to the children’s program never boarded. Our daughters, then 8 and 10 years old enjoyed earning Jr Ranger status at Klondike Historic National Park in Skagway in 2005. Look at that earnest little 8 YO face…wouldn’t you take her back to Alaska if she missed something important!? Lesson learned, we kept the kids with us in the College Fjords, but no calving tidewater glaciers that day in 2005. Fast forward 13 years, with one graduated and the other on track to do the same, the time had come for redemption! This time, no mass market cruise with thousands of passengers would do. 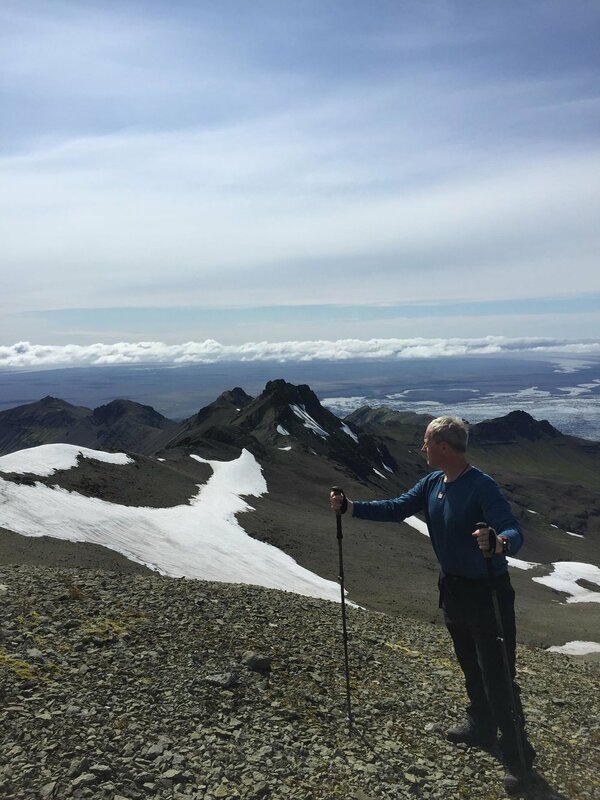 I contacted Chris, at Expedition Trips, the travel agent who put together our Polar Bear Safari (see post here) and explained the whole situation. 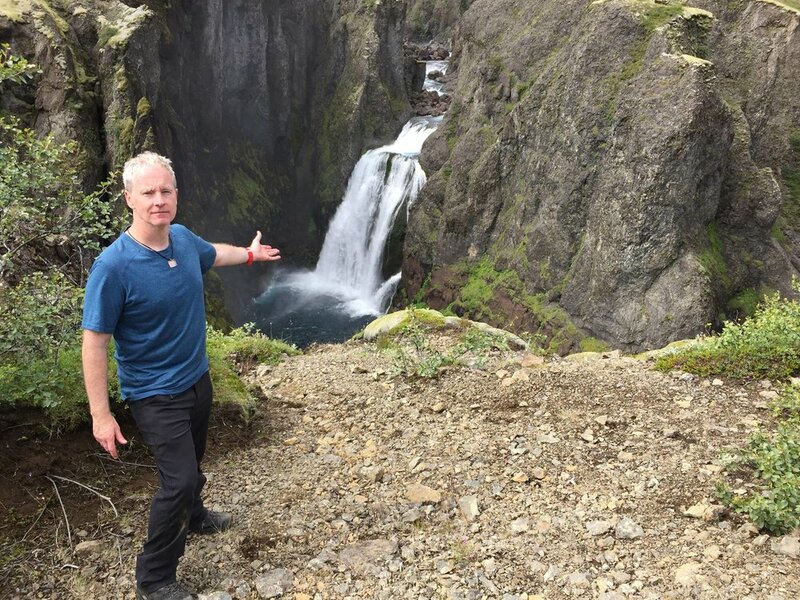 Chris, with his vast knowledge of polar cruising, knew just what we needed and here we were on an UnCruise in Southeast Alaska hoping to redeem that bad experience on a large cruise ship 13 years earlier. Our daughter, 21 yo, 13 years later, up at 6:30 AM, excited and ready for redemption! 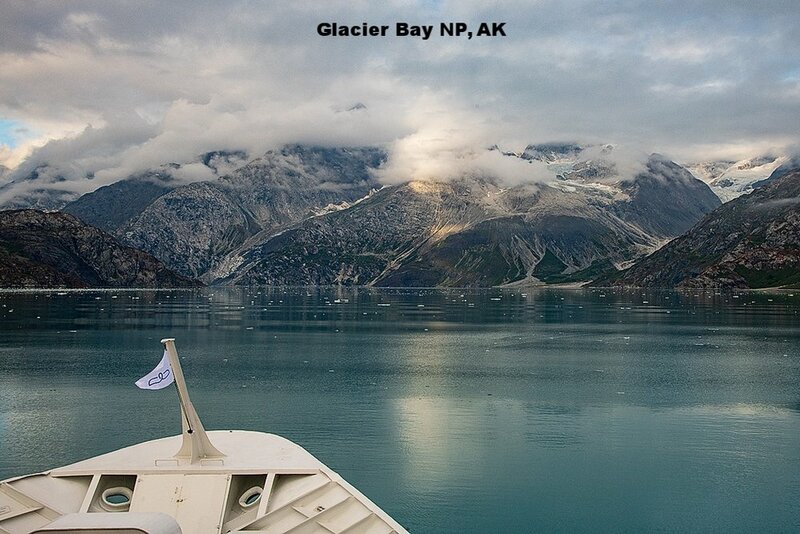 The highlight of most Southeast Alaska cruises of any size, is a day in Glacier Bay National Park. In order to be permitted into the park, cruise lines must board a National Park Ranger, who provides commentary and runs special ranger programs on board. On a larger cruise this may be done via loudspeaker for thousands of passengers lining the decks and in their cabins. During our recent UnCruise to Glacier Bay National Park on Safari Endeavor, it meant we had a more personal experience, getting to not only meet the Park Ranger Kelly personally, but also getting to enjoy Glacier Bay with Ranger Kelly on deck answering our questions and pointing out wildlife and natural features of GBNP. And posing for selfies!! 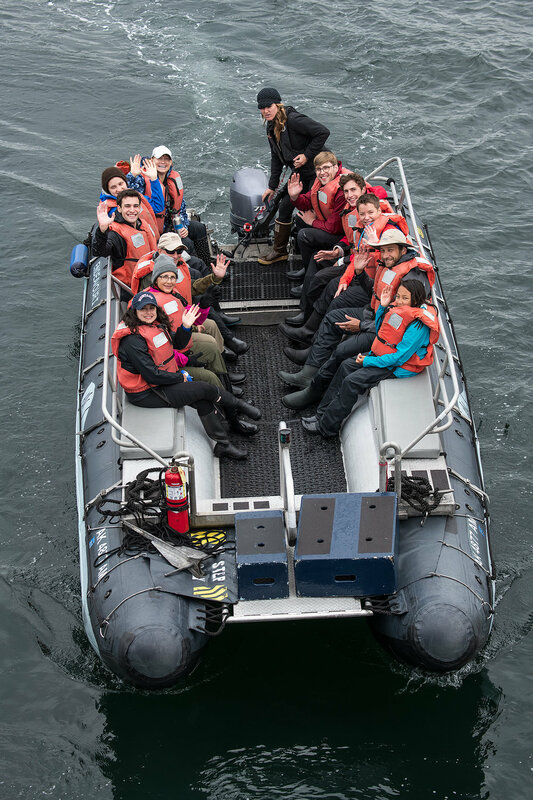 Ranger Kelly takes a minute from spotting wildlife and explaining the geology of Glacier Bay National Park to pose for a selfie with passengers if the Safari Endeavor. After telling our story to Ranger Kelly, she explained that “kids” of any age can participate in Junior Ranger activities, filling out an educational activity book, completing at least two activities in the park (we had done nearly a dozen of the suggested activities!) and having an interview with Ranger Kelly to share what you’ve learned. Our daughters decided this was the time for redemption and they tackled that booklet like it was a college final! They weren’t the only ones; several of the young adults on board took the time to finish the activities and took the oath at the end of our day in Glacier Bay National Park! The young adults over 18 nearly outnumbered the “kids” getting inducted as Jr Rangers. Ranger Kelly made the kids pledge to put down their devices for at least an hour a day and asked a thought provoking question about their ideas for preserving Glacier Bay National Park. It will be these young people, including the passionate Ranger Kelly, who will carry forward the need to preserve these beautiful wilderness areas! So Would You Like to see the Glaciers!? We had an amazing day and everyone on board was able to see the Margerie Glacier calving and marvel at the sheer size of these tidewater glaciers. To get a sense of scale…a huge flock of gull sized Kittiwakes are dwarfed by just a small section of the Margerie Glacier. The glacier was fairly active with a few large chunks crashing to sea as we watched. A chunk the size of a tiny house breaks off with a noise that sounds like a gunshot or thunder, and the resulting waves can swamp anything nearby. After our hour watching the Margerie Glacier, our ship ceded it’s turn to a small sailboat coming in. As we left, seeing the sailboat nearly disappear into the vastness of the glacier allowed me to imagine a time when glaciers covered the whole earth and carved out the largest mountains and deepest canyons and lakes! Can you spot the sailboat? This 25-40 foot sailboat is dwarfed by the glacier! Although our time wit the Margerie Glacier was over, our time in the 90 mile inlet that is the GBNP, had just begun. Next we sailed into the Johns Hopkins Inlet. The map of our day in GBNP and all the exciting things we saw in the park. A beautiful water fall…but look closer, as I was with binoculars, and I saw some movement in the shrubs! Zooming in: Our captain moved the ship in a little closer. To get an idea of how carefully you have to look for wildlife, here are the black bear we saw. We were really looking for movement because if you look quickly, you wouldn’t notice the bears! I places a red dot under each of the three visible here, another bear is hidden in the bushes. We were rewarded for staying out on deck all morning with lot more sightings of wildlife. This sea otter decided he didn’t need the ice, he’d just float along on his back! One of our most exciting wildlife encounters was watching a family of bears moving along the coast of Russel Island. 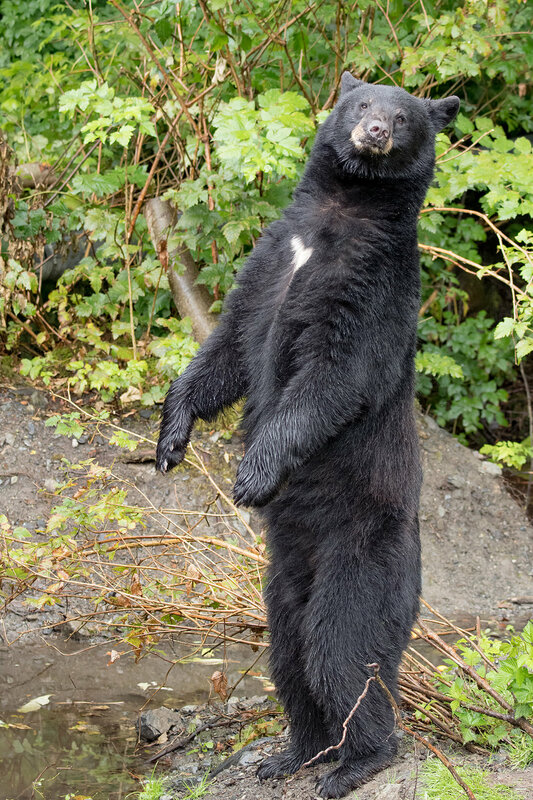 We have more about the bears in our post about Bears in Alaska coming soon, including video! In addition to the marine mammals and bears to watch for, it’s important to keep an eye out on the mountain sides for mountain goats. And we spotted one grazing! Our ship moved closer, but it still looked like a little white fluffy spot on the mountain! One of the areas we slowed down and spent some time exploring was at South Marble Island. A huge sea lion colony hauls out into the island creating a lot of noise and not a little stink! It was interesting watching their behavior. We saw a small sea otter on a rock and two sea lions just swam up and body slammed it off the rock! They weren’t even interested in pulling out onto the rock, they just wanted the sea otter off of their rock! South marble Island also serves as a rookery for thousands of sea birds. Ranger Kelly described South Marble Island as a high rise apartment building, where different birds live on different levels. As we wrapped up our day in GBNP, we had the opportunity to do another thing the large cruise ships do not, we docked at the Glacier Bay National Park visitor center. We were briefed about exploring the visitors center on our own, including a mile long boardwalk loop through the forest and along the coast. The amazing wildlife sightings continued, when we were encouraged to watch a black bear swimming from one point to another near the visitor center. We were also discouraged from hiking in the area where it landed! A whale skeleton was reconstructed at the visitors center, after it was struck by a cruise ship. After exploring the visitors center and nearby trail, we sailed out of Glacier Bay and into the Lynn Canal, a parallel gorge where our next stop would be the small town of Haines, Alaska. But the whole family could agree, we had definitely redeemed the disappointing experiences from the last cruise, with some of the most amazing adventures on this one! It’s not often you get a do over, and we felt very lucky we had! It was our first humpback whale sighting of the trip. We needed a “win”. After an amazing morning kayaking and exploring in Kelp Bay in the South Peril straight near North East Baranof island from Safari Endeavor, we had spent all afternoon anchored in the bay, the crew unable to operate the winch that raises the ship’s anchor. Our sticky cabin door and the pair of non operational hot tubs now seemed to be the least of our problems. The troublesome anchor winch, maybe the ship decided it didn’t want to leave such a beautiful place?! The plan had been to spend the afternoon looking for marine mammals after leaving Kelp Bay on our way to Neka Bay. Instead we were watching the crew methodically trying to problem solve their way out of a mechanical issue, in a very remote area. No cavalry was coming. Triple A doesn’t offer a service plan out here. This issue would be solved or managed with the crew and materials already on the boat. A decision was eventually made in the late afternoon, to abandon the anchor in the bay with a bouy for later retrieval and push on with plans to search for wildlife. Without a working winch, this meant committing to a week of constant motion on the ship, with no anchoring in remote bays. We had prepared for the unexpected when it came to weather and wildlife, knowing animals and weather have their own plans not manageable by even the best guides. 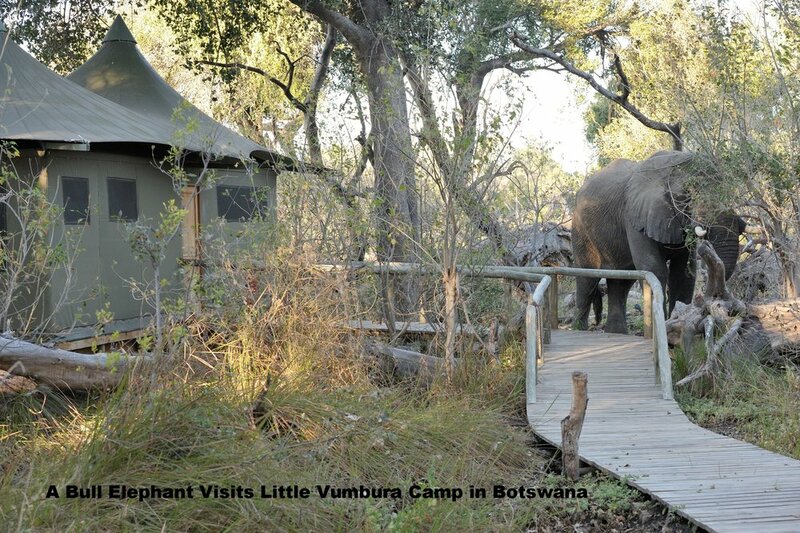 But the guides were hoping for a good wildlife showing to energize discouraged guests and they got it! A large humpback was spotted. It was moving lethargically, surfacing occasionally for air. Our guides told us the whale was moving slowly, essentially, sleeping while it continued to move and surface occasionally for air. Unlike seals and seal lions that can haul out and rest, the whales stay in a state of partial wakefulness, moving constantly even while they rest. The irony was not lost on me that our ship was in the same condition as the sleeping whale, constantly moving, with the captain and crew having to “keep one eye open even while sleeping” to keep operating. The crew was relentlessly upbeat, sure that even after they cut the anchor and committed to a week of drifting continuously, that we could all make the best of it. They would be the ones putting in the extra work, no anchoring meant a full sailing crew on the bridge, rather than a night watch at anchor. Unable to launch kayaks from the dedicated platform on a constantly moving vessel meant extra work for guides and crew to transport people and kayaks to the shore and back every day. The crew did an incredible job, and made it impossible to be disgruntled because of their enthusiastic hard work. Anytime guides take their guests out to see wildlife, they hope for the best, and after a demoralizing afternoon, they got as good as South East Alaska gives, when a pod of orca was spotted during dinner. Guests all left the dining room to take dessert in the lounge and on the open bow, while watching a frolicking family of so called “killer whales” . Orca travel in large pods, so spotting one, means looking for more! Which makes me think, if not the home office, Someone was on our side! 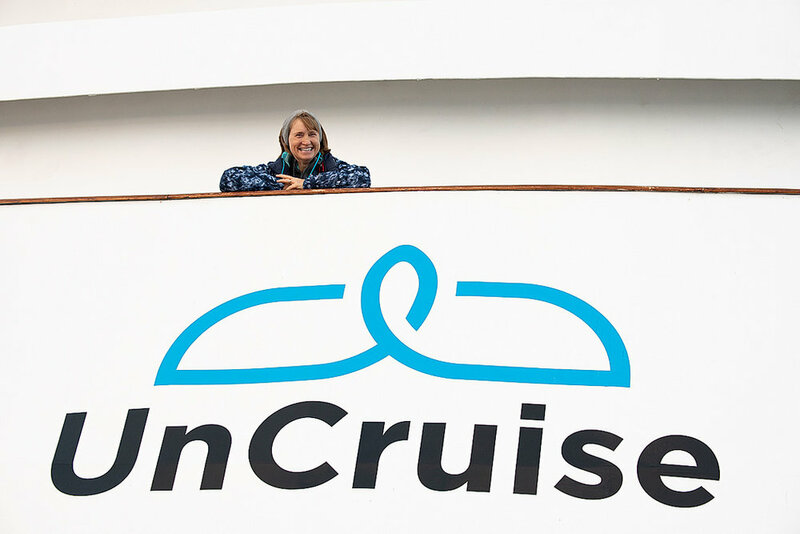 So What the Heck is an UnCruise?! 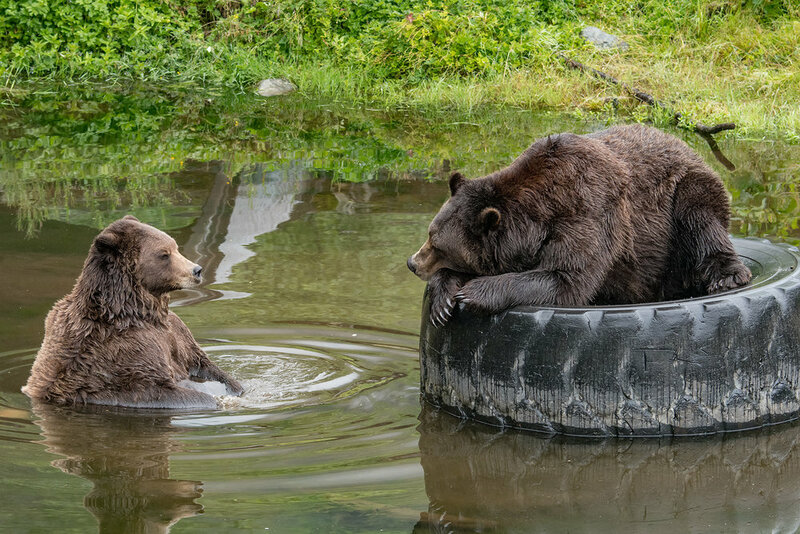 For more about what we did on our Southeast Alaska Cruise, watch for our upcoming posts about BEARS, WHALES, Sitka, Haines and Glacier National Park. UnCruise is what is called an expedition cruise. Despite the constant drumbeat of mass market cruise ships advertising, expedition ships and cruises have been around for a very long time. Originally, ALL cruising was for expedition or trade...recall that the United States was "found" by Europeans after several expeditions! Smaller ships that focus on hard or soft adventure and nimble touring based on weather, wildlife and whim of the small number of passengers. You can find these kinds of cruises anywhere there is a watery wild place, Galapagos, Southeast Alaska, Polynesian Islands, or on the Amazon river. 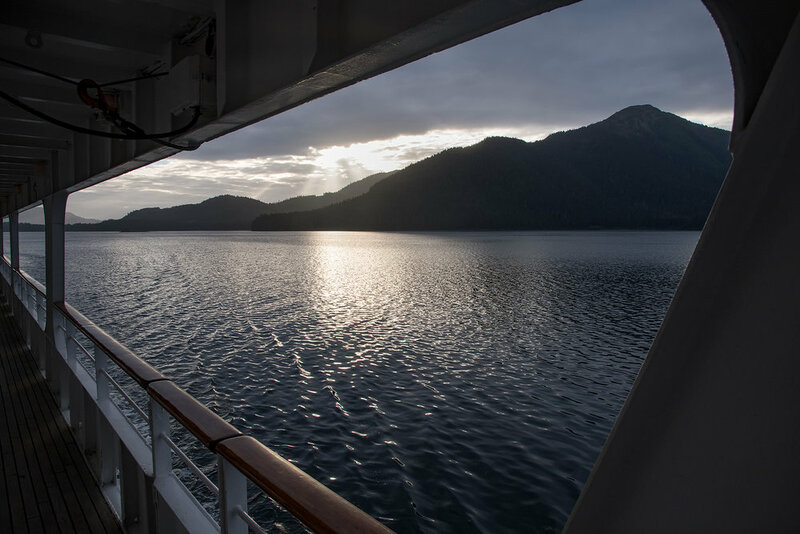 On our recent UnCruise there were about 80 passengers exploring Southeast Alaska. 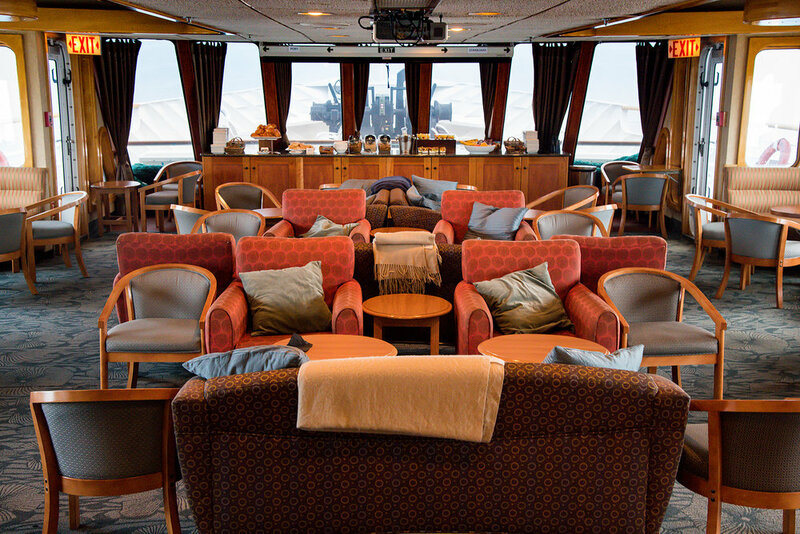 The ship had comfortable public spaces including a lounge and bar, where daily briefings about the day ahead were held and where we heard lectures on Tlingit culture, wildlife and Glacier Bay National Park. 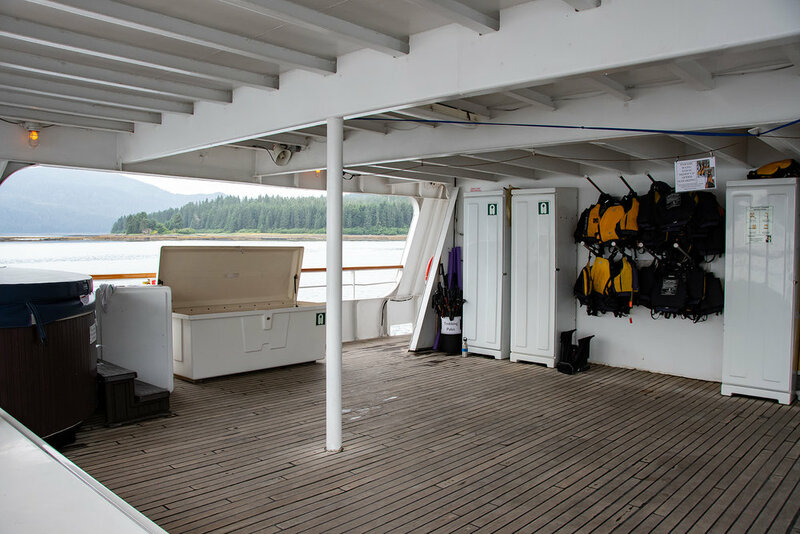 A promenade deck and large area open on the bow and stern accommodated all the guests easily, for scenery and outdoor wildlife viewing. There was a platform off the back of the ship that accommodated the launching of skiffs and kayaks, and a staging area above it with a pair of hot tubs, where yoga classes, and safety briefings were held. Aft 300, where staging for excursions and yoga classes were held. The dining room in the stern had plenty of space for communal dining, breakfast, lunch and dinner at set times to allow for scheduling of morning and afternoon activities. Dining Room with large windows, so you don't miss the view even during meals. Library adjacent to the dining room, instruments and books for guests to use. 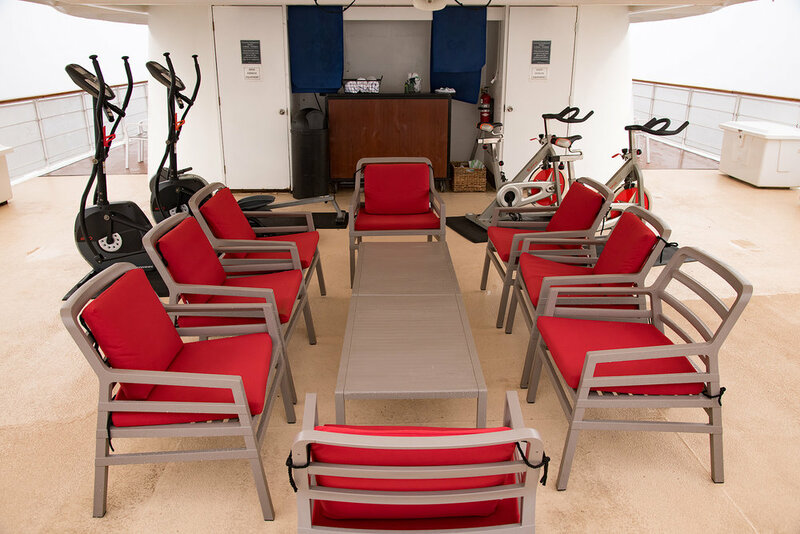 A comfortable sun lounging area was located up top in the stern, along with outdoor fitness equipment and a couple of massage rooms toward the front. All cabins on the Safari Endeavor had windows, a few suites up top had private balconies. Our cabin had direct access to the Promenade Deck, a convenience for our photographer as we could dash outside instantly, but a slight disadvantage because of the fixed twin beds and lack of space to hang wet gear. Other cabins had hooks and trays for wet coats in boots in the hallway. A view of the panoramic lounge windows, promenade deck and bridge above. On small expedition ships, there is truly little difference in cabin location, everything on these small ships is only a few steps away. Selecting cabins should be based on the comfort of the cabin for your party (bed configurations and space) But unlike large ships, almost all of the cabins are located near where the "business" of the ship happens and this means it may be noisier than a large cruise ship cabin sandwiched between dozens of others. Look for cabins away from noisy public areas, or areas where a lot of noisy activities happen (such as launching skiffs or raising and lowering anchors) One of the pricier cabins on our cruise was located right outside the promenade doors, which, if passengers weren't careful, would slam closed at all hours of the night and day. Another cabin was located adjacent to a public toilet. Be sure to check the deck plans carefully before selecting your cabin. 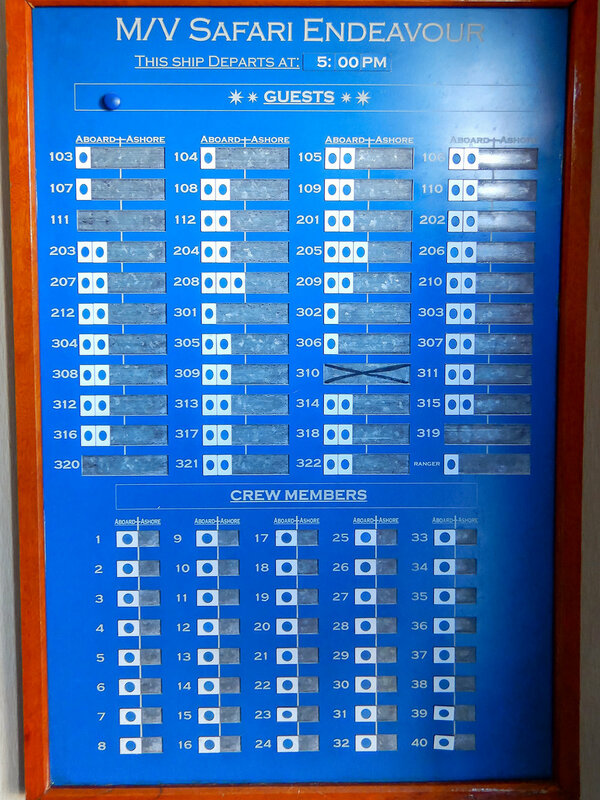 Every crew person had more than one function. 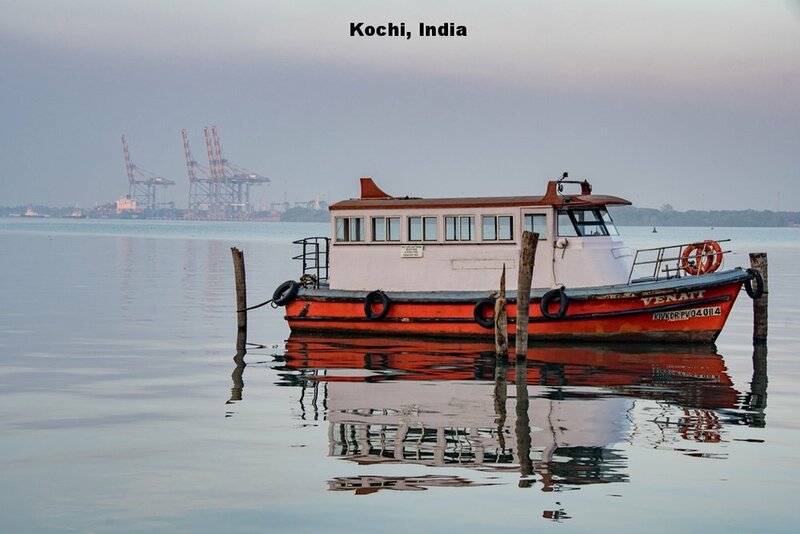 Professional guides also served as EMTs for medical emergencies, the yoga teacher were all masseuses and assisted passengers disembarking skiffs. The Bos'ns are responsible for driving the skiffs on excursions and then docking the ship later. Stewards manage serving meals, as well as tidying up cabins. The crew is "on duty" most of the day, and their can do attitude and ability to roll with the changes was one of the best parts of our cruise. The hotel manager makes sure cabins are tidy and meals are served. The chef shares what inspired him to create our meals each day. The captain, mates and engineering crew worked to keep the ship operational and because of some mechanical problems, we saw a lot of the engineering crew, and their patience with passengers hanging over their shoulders was amazing! Our guide Krista leads the way on a shore walk through a small stream with spawning salmnon. Our expedition leader, Megan, organized all of the activities and ensured everyone gets to do what interests them. Every day a list of activities and guides was posted. 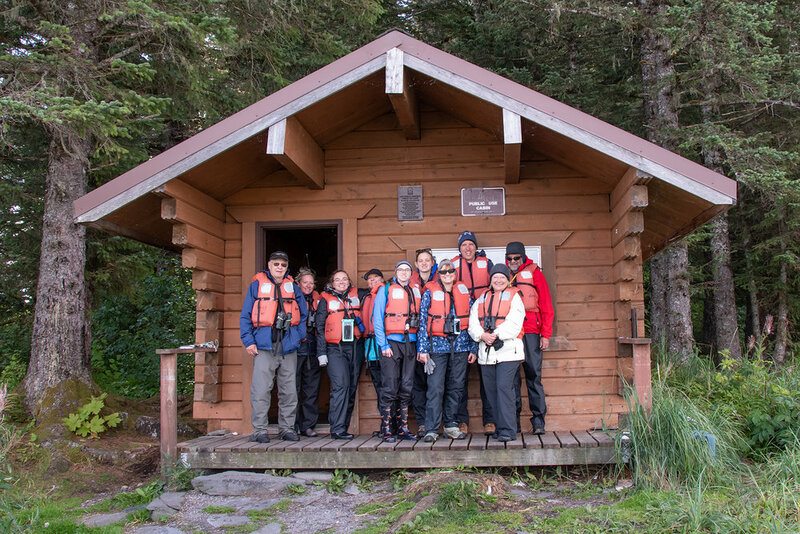 All of the guides had their specialties, but were all excellent sharing their knowledge of Southeast Alaska. The whole crew was able to adapt quickly to changes, mechanical or weather, so that passengers could fully enjoy their experience. A group of all ages, enjoys a skiff tour to Hines cabin, managed by the parks service. Like any small group, you can’t be anonymous or get lost in a crowd. Luckily, our sailing, the group, even the large reunion groups made efforts to “mix it up” at meals, splitting up their party to join other groups and meet everyone. When you board, you won’t get a key for your cabin, they are unlocked (but can be locked from the inside at night) Jeff is a fan of studying societal behavior and noted that Dunbar's number has shown that small groups usually behave well because the group is small enough to not be anonymous and therefore everyone is held accountable and there is less worry about petty crime on board. Excursions were organized with groups the expedition leader felt would "jell', and evenings were spent mingling in the lounge or out on deck with fellow passengers between briefings, dinner and evening educational programs. 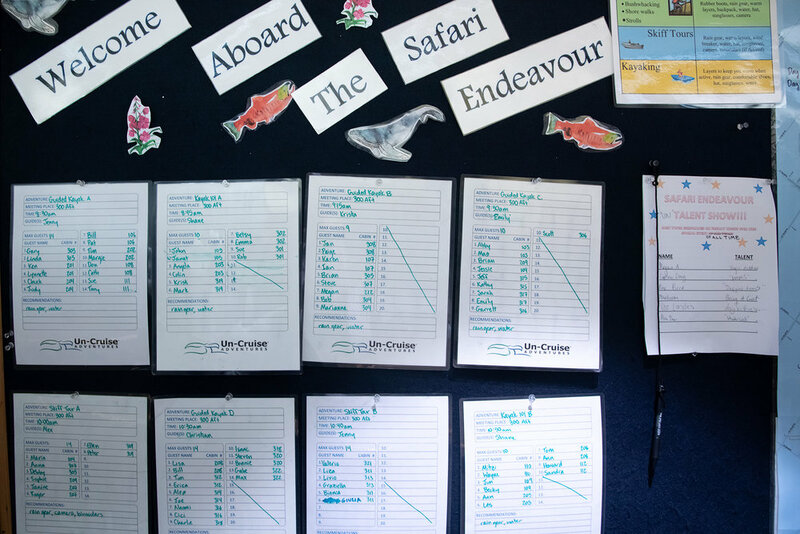 Instead of a sea pass card, everyone logs in and out on a board, ala summer camp style! We’ve been on several expedition ships over the years, and most of them share a similar ethos. Focus is on wildlife or natural activities, with some cultural activities. On Safari Endeavor, days began early with optional yoga on the aft of the ship at 6:30 AM. Breakfast was in the dining room at 7:30 AM, although coffee and continental breakfast was available earlier in the lounge. By 9 AM, the first of scheduled excursions were on their way to the staging area on the aft of the ship. 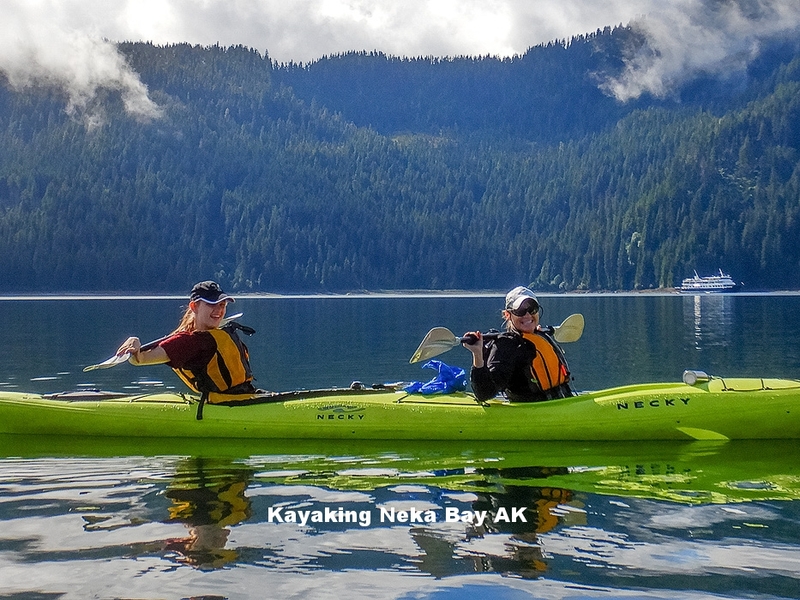 Excursions included, kayaking, skiff tours, hiking, and bushwhacking (a fun "off the grid, on the compass" experience where there are no trails!) You can choose what you like, instruction is always provided and guides are patient answering questions about gear and pace activities so everyone feels comfortable. You can also choose the "nap" excursion (relax on the ship if you prefer) and skip an excursion, as we did one wet, windy day after kayaking was canceled. While most days were spent anchored in an uninhabited bay, some days we did go to "civilization", Haines, and Glacier Bay NP Visitors Center, and options for activities on those days was shared ahead of time, with activities being either with the guides or on your own. Above: An organized float trip down the Chilkat Bald Eagle Preserve during our visit to Haines. Around 12:30 PM, everyone was back on board for lunch, and a short rest before heading out for afternoon excursions. Some days include one morning excursion and an afternoon spent looking for wildlife aboard while under way. On our cruise, we came across a mamma bear and 2 cubs flipping rocks looking for seafood on the shore of Russel Island and we spent more than an hour slowly following their progress as they made their way along the shore. Other days, we sat idling waiting for a pod of orcas or humpback whales to surface. Getting that close, or spending that much time observing wildlife wouldn't have been possible on the larger cruise ships. More pictures and video of BEARS and WHALES coming soon! 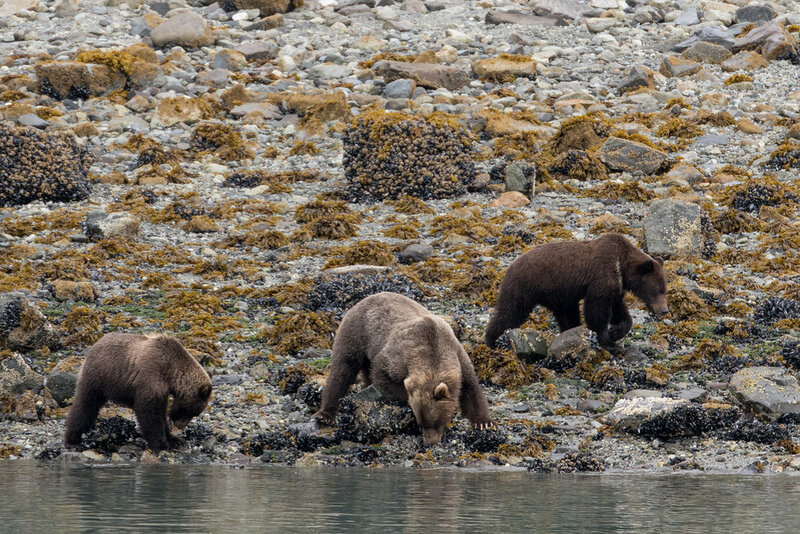 A brown bear mother and cubs looking for food under the rocks along the shore. Chef Brendan, came out each morning to discuss the lunch and dinner options...usually two at lunch and three, land (vegetarian), meat and sea (fish) options at night. Special requests, allergies, and picky eaters were all handled with professionalism. The food was spectacular, far better than I expected on an expedition cruise (better than anything that can be prepared for 2 or 3 thousand people on a larger cruise ship). Portions were reasonable, a little small for our young adults, but no on went hungry! The meals were created using fresh ingredients, usually inspired by Chef Brendan's international experiences, with unique mash ups of cooking styles and spices from all over the world. You choose your entrees in the morning for meal planning purposes, but it was no trouble to change your mind in the evening if you wanted to. After dinner, if there was wildlife to spot outside, dessert would be served in the lounge, with it's easy access to the bow viewing area. 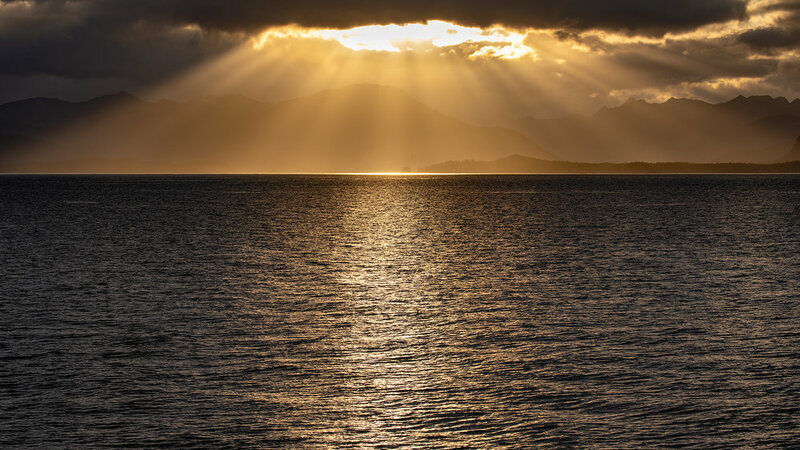 Summer in SE Alaska means late sunsets and oftentimes the evening entertainment was deciding whether to watch for a whale breach on one side of the ship or the stunning sunset on the other! On nights when there wasn't wildlife to watch, there might be a talk by one of the guides on birds, or salmon, and one night a crew and passenger talent show was held. And of course the whole week wrapped up with a special expedition slide show from our cruise. The bar was open most nights till midnight, the young people stayed up playing card games and letting Lee introduce them to new cocktails, but most people went to bed early for an early start the next day. 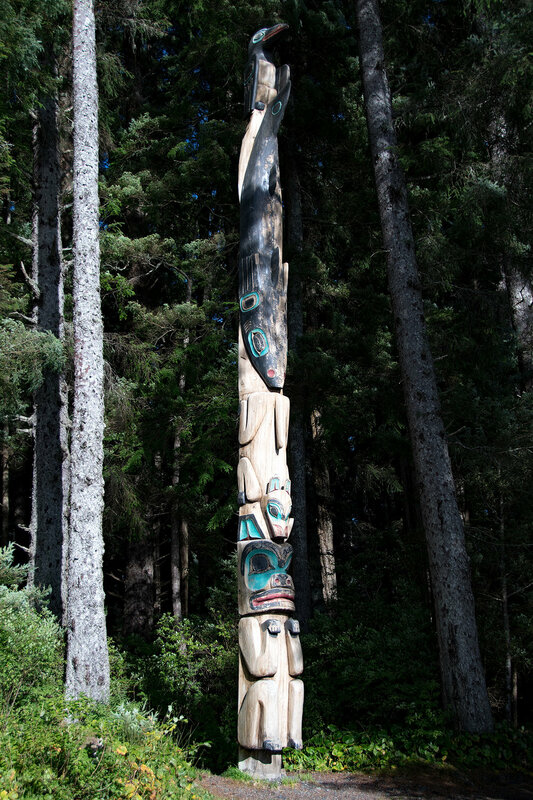 Tlingit people, native to SE Alaska, shared their handiwork and stories on board. There won’t be any nickel and dime expenses on an UnCruise for excursions, drinks, massage, yoga or bingo games (there were no bingo games except for the one in the Junior Ranger activity book) Everything on our UnCruise was included, except for tipping our crew, which you should be prepared for. Its a communal tip, which you can charge to your onboard account at the suggested amount or at your discretion. 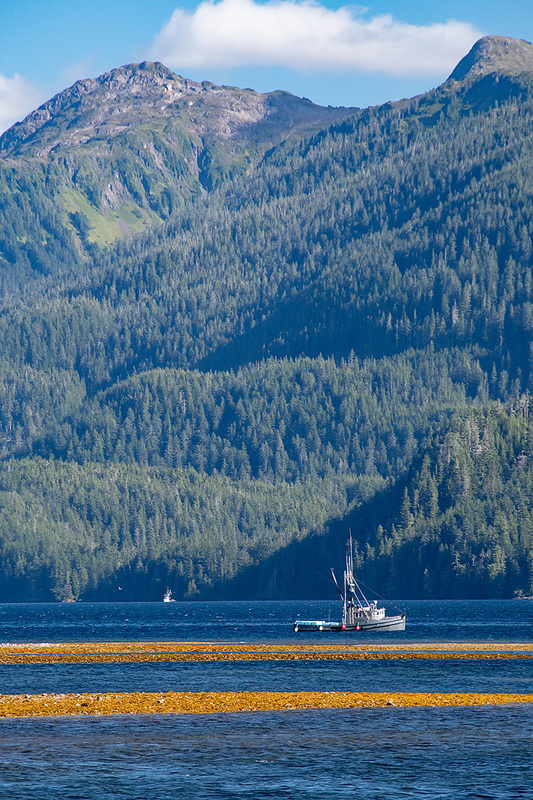 We happily tipped our crew, because of the amazing job they did sharing the wonders of SE Alaska with us. 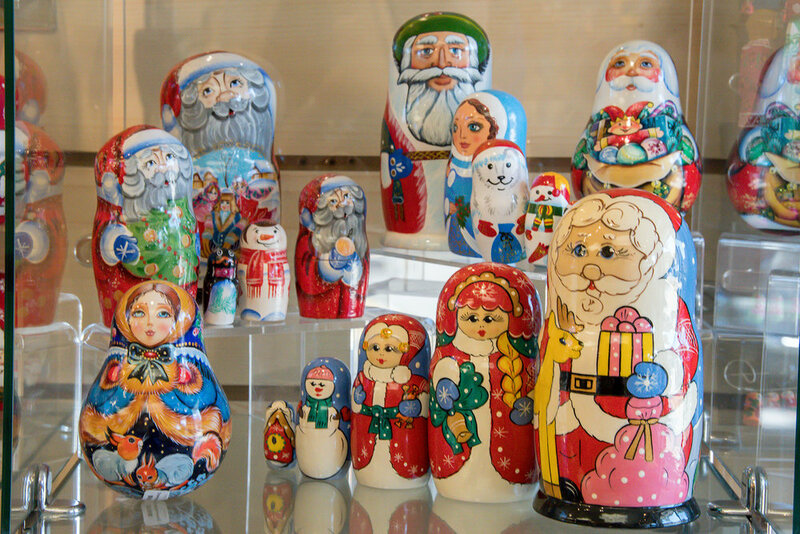 We brought a little spending money to buy art work and souveniers in some of the places where there were shops. We enjoyed our UnCruise itinerary because it allowed us to explore areas where we had never been, get up close to wildlife, learns about local culture and meet some interesting and engaging new people. We were also able to spend a whole day in Glacier Bay National Park, where we had some "unfinished business". I'll be sharing more about that along with many more photos and video in the coming weeks! Be sure to follow us on FB or Twitter for notification when we post something new! UnCruise In Alaska For Some Unfinished Business. I was sound asleep at 1 AM when I heard a man's voice speaking quietly in my right ear. “If you’d like to see the northern lights, they are visible now on the bow” I didn’t need a second invitation, I was out of bed and jumping into my rubber boots before the mate on duty on the bridge could turn off the speaker beside my bed. That stateroom speaker often came to life during the day to inform passengers of any significant sightings during our Southeastern Alaska UnCruise. After several unsuccessful opportunities to see northern lights during trips to Churchill, Manitoba and Reykjavik, Iceland in winter, I was getting my opportunity to experience them in the Lynn Canal aboard the Safari Endeavor, in Alaska...in August! Our family's recent UnCruise was an opportunity to complete some unfinished business and explore Southeast Alaska in a way we didn’t get on our first trip to Southeast Alaska on a mainstream cruise in 2005. Our 8 yo daughter missed out on some experiences and was very sad about it. 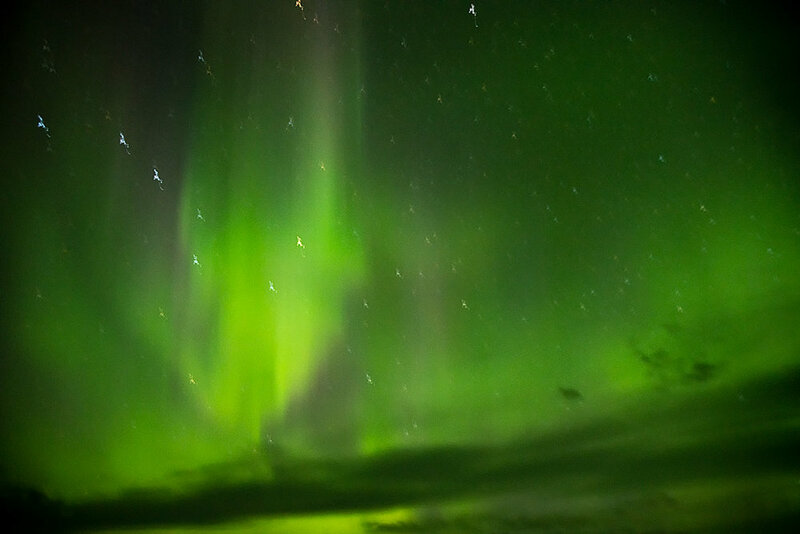 We had made a promise to our daughter then, that we would do things differently the next time, and this trip delivered in unexpected ways, especially by delivering up northern lights during a time we least expected to see them! Darkness falls only after a lengthy twilight during the Southeastern Alaskan summer, but with the ship’s lights off, about 1/2 of the 80 passengers and several crew roused themselves and appeared on the bow in their pjs and robes to experience the magical natural phenomenon of Northern Lights. One of our onboard naturalist guides, Christian, described the phenomenon and answered questions in a loud whisper, not so much to avoid disturbing the sleeping guests, but because the experience seemed to demand a quiet reverence. As the wind blew gently, we watched the light streaks move across the sky. These appeared more like glow-in-the-dark greenish white to our eyes than the bright greens picked up by the long exposure of the SLR camera. In silence, we marveled at the lights playing and changing in the northern sky before our eyes. Then our senses became heightened to the sounds around us, the light breeze, the quiet rumble of the engine, the clicks of camera shutters and an occasional splash off the bow. Looking to see what caused the splash, we became aware of bio-luminescent streaks through the water (another natural phenomenon, caused by microscopic dinoflagellates that live in bays and glow on dark nights when they are disturbed with the movement of the water) The glowing underwater streaks were caused by a school of porpoise riding beside the ship’s bow, breaking the surface to leap and breathe and creating glowing streaks in the bay as they raced through it. This glowing water phenomena is almost impossible to photograph and has to be lived to be experienced. The whole effect was so magical, that our daughter described it as being in the fictional kingdom of Pandora! The mild night, dancing lights in the sky, and the playful, but barely visible porpoise, and the glowing waters they churned up, had an ethereal quality, as if, maybe we had not really woken from a dream. But we were awake and we were experiencing just one piece of unfinished business that we had come on an UnCruise to finish. 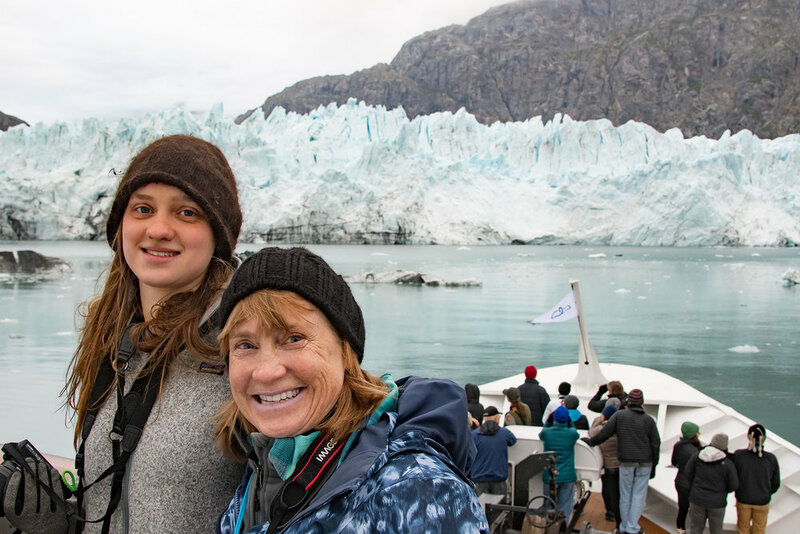 There would be much more, such as how National Park Ranger Kelly redeemed a previous disappointing Glacier Bay National Park visit for our 21 year old daughter 13 years later! Jeff is working feverishly on over 5000 frames of glaciers, bears, whales, eagles, happy hikers and kayakers and Tlingit people sharing their culture. We will be sharing these through posts over the next several weeks. Stay tuned, and if you haven’t yet, like our FB Page or follow us on Twitter, so you’ll get notifications when new posts and more photos about our Alaska Uncruise Adventure are up.